The Belding 1-Light Industrial Mini Pendant features a dark, chocolate bronze accented with lightly antiqued, brushed-aluminum drum shades, including double-frosted glass diffusers for both sides of this transitional mini pendant. Designed by Carolyn Kinder International. Available to trade professionals at Uttermost.com. 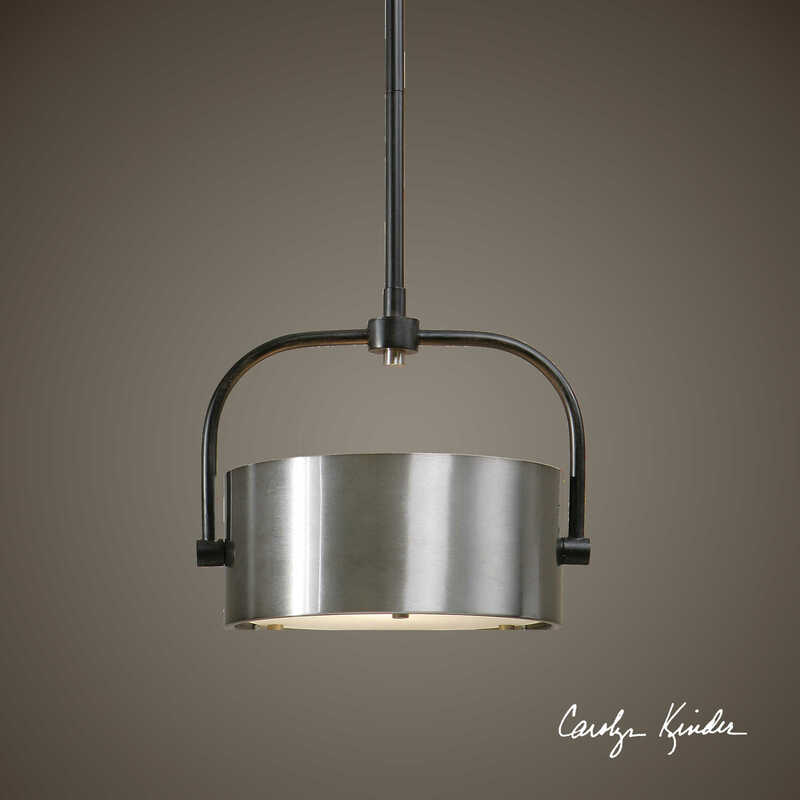 For retail purchase Google search term “Carolyn Kinder Belding 1-Light Industrial Mini Pendant”.